Cameraman Madhie who has worked in hit films like Paiyya, Srimanthudu, Mirchi and Run Raja Run is now busy with the recce of locales for Prabhas's next movie in the direction of Sujeeth. The film will reportedly be shot in Mumbai, Kerala, Hyderabad and later in Europe and Dubai. This being his second film with Prabhas after Mirchi, Madhie has gotten quite close to Prabhas. He said that the Baahubali star is quite reticent in real life. 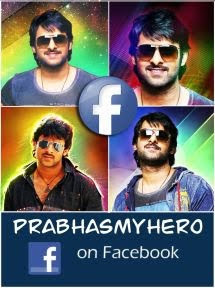 "Prabhas is one of the most sensitive, sensible and soft spoken people i know. The world may know him as the mighty Baahubali but his aggression is only for the role. In real life, he is so soft spoken that he will deliver even a vehement and loud dialogue softly. He will do the required shouting only during dubbing. His shooting spot is usually very silent and even a small noise will disturb him" he said.